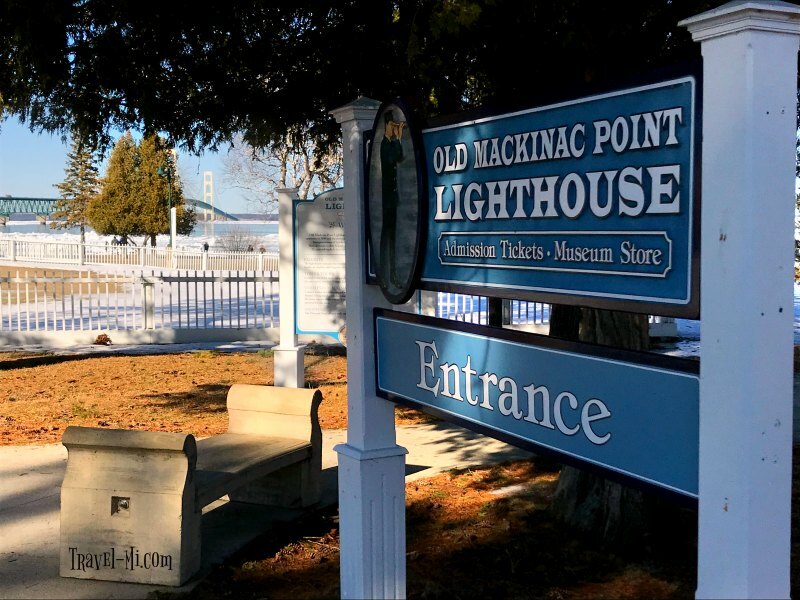 5 Reasons Why Visiting Mackinaw City In Winter ROCKS! 5 Reasons Why Mackinaw City in Winter ROCKS! Mackinaw City Michigan is a unique and vibrant city packed full of adventure, exploring, dining and shopping. It offers amazing views of the Mackinac Bridge and Mackinaw Island! Did you know you can catch a glimpse of the Grand Hotel from the shoreline? Visiting the city during all four seasons awards you with vastly different experiences, so pack your bags and lets start exploring! I mean seriously, Mackinaw City is such a great place to experience any time of year! I love seeing the majestic Grand Hotel from the shoreline! Mackinaw City in winter is much less traveled (less people=more peaceful stay!). Keep in mind much fewer shops are open but you can enjoy the pristine beauty of the area. To me, that's reason enough. Hotels are WAAAYYYY cheaper. You can obtain a water or bridge view for a fraction of the cost during the peak tourist times. Imagine sipping your coffee in your cozy room while reading a book with one heck of a view! With these prices you can stay an extra night! 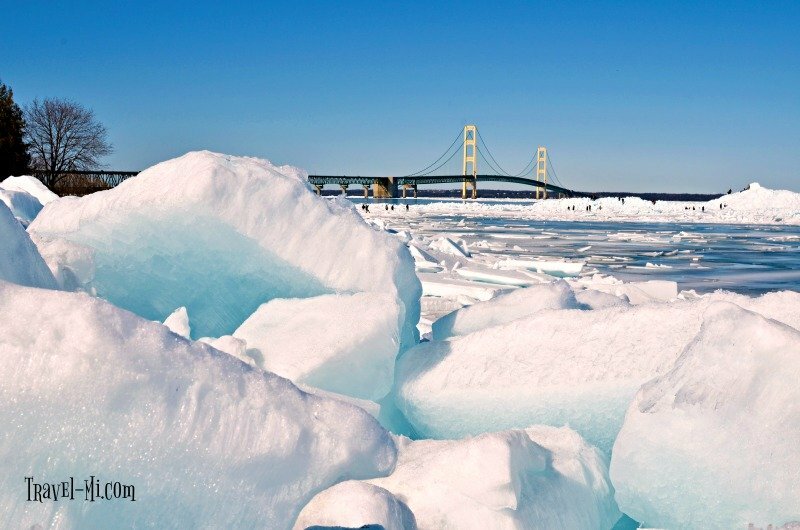 It's your chance to score spectacular photos of the Mackinac Bridge with sparking ice. I love wandering along the shoreline enjoying the absolutely stunning views of the bridge and thick layers of ice. At times you can see through the ice near the bridge which is a really cool thing to see. Snowmobiling! There a snowmobile rentals and trails throughout the area. 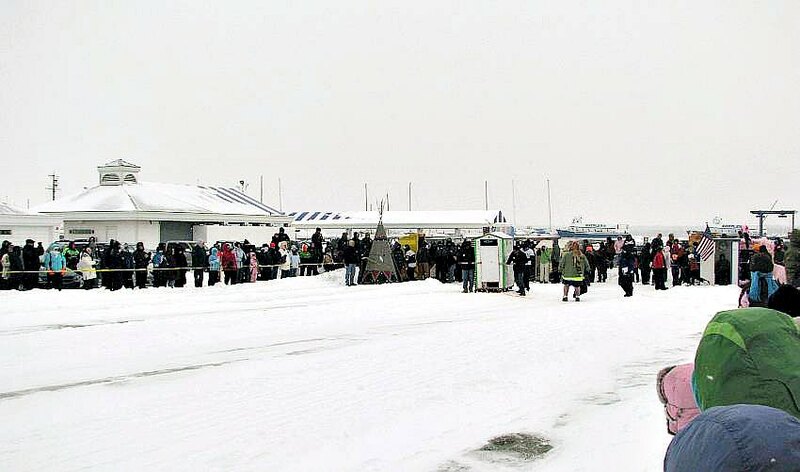 Mackinaw City Winter Carnival (Winterfest!) Mid January. Check out their art exhibit, ice sculpting, and entertainment at local taverns. 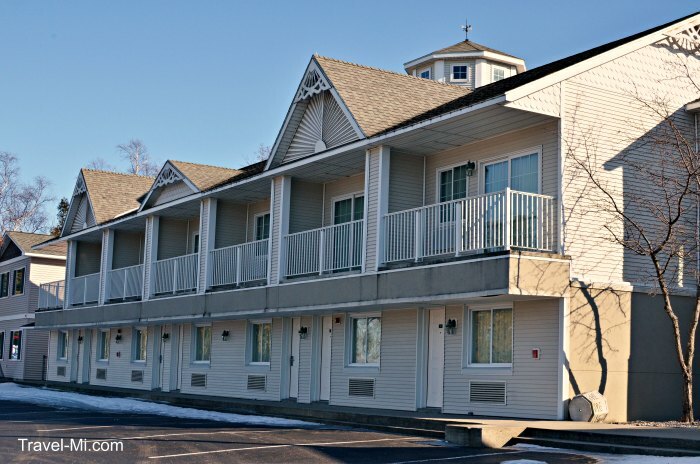 Mackinaw City, located on North M-75 is our destination stay before heading to Mackinac Island in the summer. The city boasts numerous hotels, restaurants and shopping opportunities. Lodging ranges from approximately $100 and up depending on your hotel of choice and the time of year. My wife and I enjoy the view of the Mackinac Bridge, Michilimackinac State Park and the Mackinac Point Lighthouse (located directly east of the Mackinac Bridge.) Parking is free at the State Park. We love to bring our cameras to take lots of photos that will later adorn our walls at home. 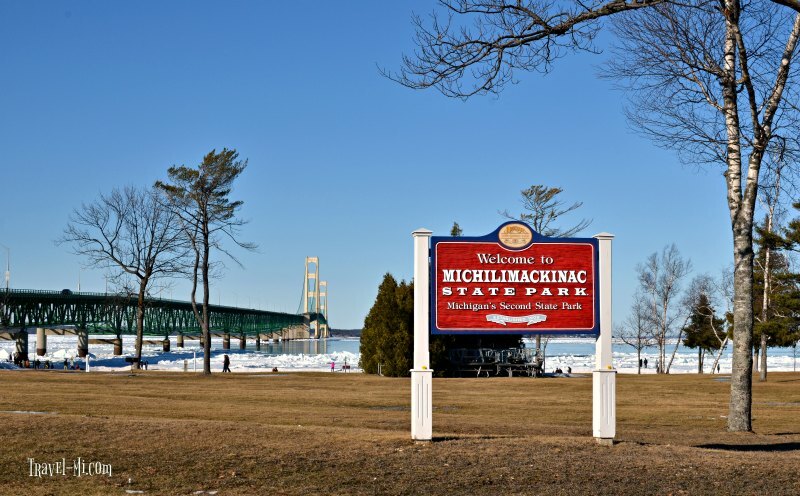 We love that we can park at our hotel and then walk to all the popular destinations in the city, such as Michilimackinac State Park right across the street. Mackinaw City is small enough that you can walk almost the entire area without moving your vehicle. 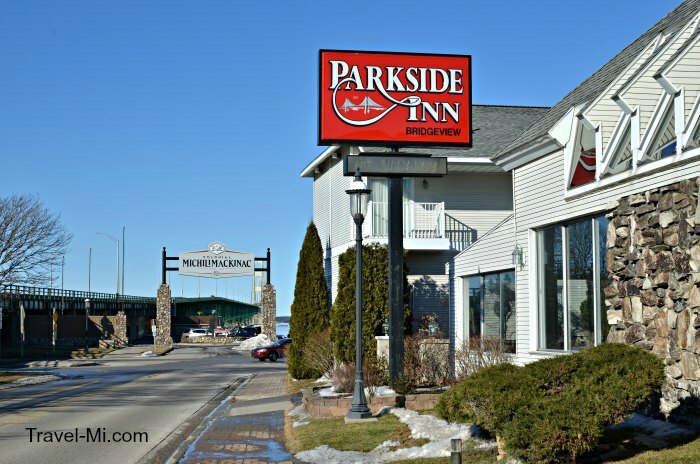 Besides the amazing views and location, Parkside Inn features a very nice hot breakfast and their rooms are very comfortable. 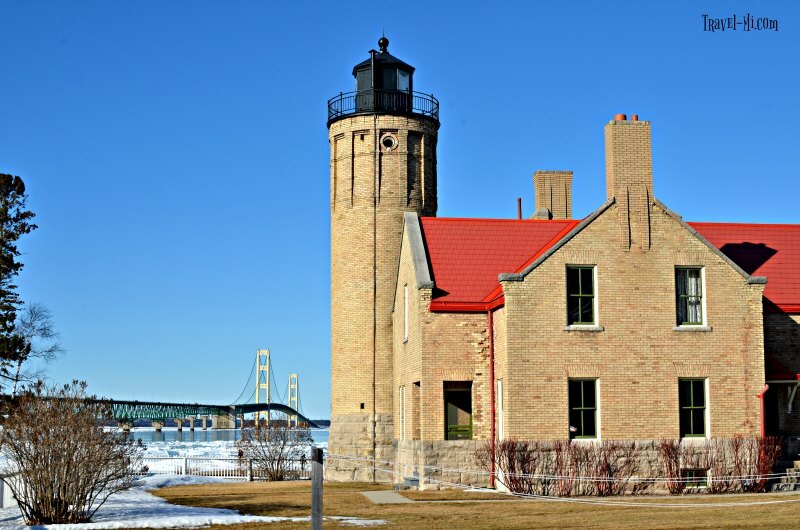 The hotel faces Fort Michilimackinac and many of the rooms have a view of the Mackinac Bridge. If you have one of those rooms, you will love the view at night. After checking in to our Inn, we enjoy walking across the street to take pictures of the Mackinac Point lighthouse and the famous Mackinac Bridge. However, it's not long before hunger begins to set in so we walk back to the hotel and drive about one mile to the downtown area...you can definitely walk there but if it's winter you will probably want to drive. 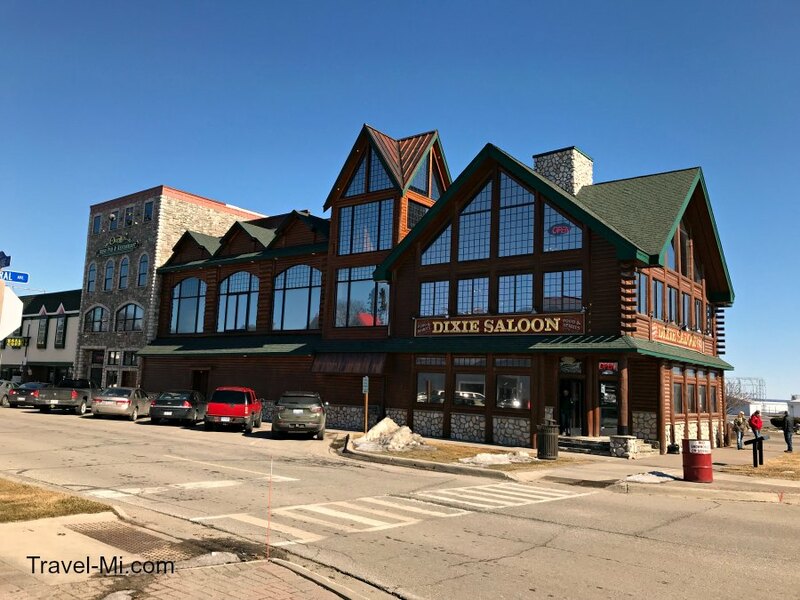 One of our favorite places to eat dinner is at the Dixie Saloon restaurant because their perch and burgers are excellent. 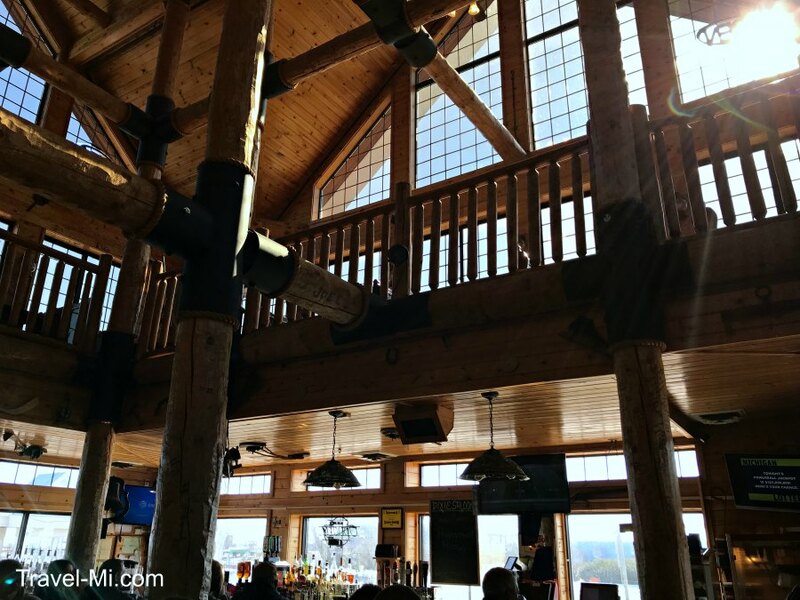 We always hope there is an open table upstairs in the balcony area because it looks and feels like a cozy log cabin. Sometimes the wait times can be long even in winter so arrive before or after conventional meal times. 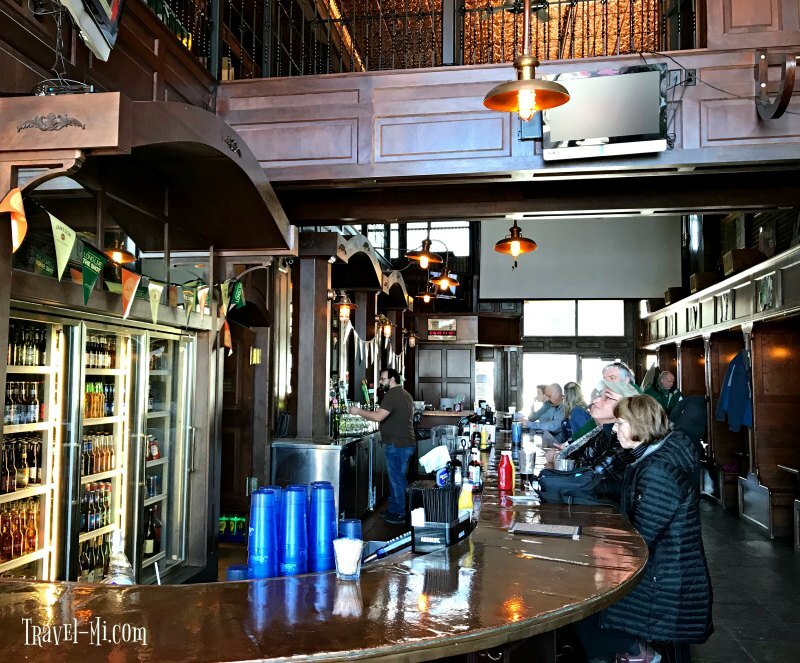 Sometimes when we are looking for a quick bite to eat and a drink, we enjoy O'Reilly's Irish Pub. This place is kind of a hidden gem as it is right next to the Dixie Saloon. You can walk inside between the two restaurants which is super convenient especially if you are visiting Mackinaw City in winter. Their steak burgers and onion rings are tasty. Plus I like the comfortable, friendly atmosphere and the wooden booths. 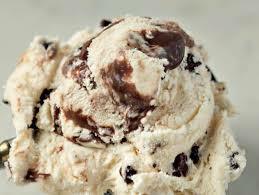 As for dessert, we like to go to one of the local ice cream parlors to buy heaping cones of our favorite delicious Mackinac Island Fudge ice cream. It's a perfect treat for the end of a good meal, if you are visiting Mackinaw City in winter! Since it's easy to walk around downtown we also splurged and got a pound of Mackinac Island fudge which is a decedent treat which you can only get in this area! Other than eating, there are many more things to do in the town including shopping, mini-golf, sightseeing, zip-lining and boat tours (depending on the time of year). You won't be bored! Mackinaw City dazzled its visitors with rare sparkling blue ice in February/early March 2018. Another great reason to visit Mackinaw City in Winter! This phenomenon last occurred 7 years ago so visitors flocked to the city in droves to photograph and witness the spectacular event! Enjoy our photographs here! For additional blue ice photos, parking tips and "in the know" advice, click here!